So what is it about ancient Rome that has people all a flutter? It seems like the new hot topic in Historical Fiction is the Roman Empire. I will bet a quarter of the indie writers I connect with are writing about that particular period in time. And it’s not just fiction. My buddy Cameron Reilly’s “Life of Caesar” podcast is insanely popular and a lot of fun. 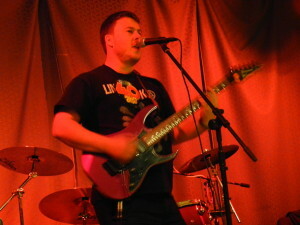 Alex Gough is rockin’ in the Roman Empire. Hi Alex. In a nutshell, what’s the new book about? Carbo (the hero of the series) and his loved ones leave Rome for the sleepy Italian countryside, desperate to recover from their recent traumas. But a chance encounter with locally notorious masked bandits leads to a devastating outcome. Carbo has to fight his own demons and an evil conspiracy to save himself and his friends, and avenge his loss. Bandits of Rome, the sequel to the number one bestselling novel Watchmen of Rome, follows Carbo as he plunges from happiness to despair, from the Italian countryside to the lead mines of Sicily. Will Carbo ever find the peace he craves? Bandits of Rome is the third in his series. armies, a huge Empire, philosophy, art and architecture. They also had terrible cruelty and awful poverty. I am fascinated by the ordinary people of the Roman Empire who had to survive in the shadows of the magnificent buildings. My hero, Carbo, is a traumatised war veteran, trying to find peace, and consistently failing. He has to overcome his own inner demons, as well as his prejudices, to fight for what is important. A completely unfair question to ask an author; what’s your favorite scene in the book? One favourite scene is too spoiler-heavy to describe but is full of emotion, especially if you have read the first book, Watchmen of Rome. Another favourite part involves Carbo being sent to the lead mines as a slave, and I try to describe the horror of the existence of a Roman mine slave. 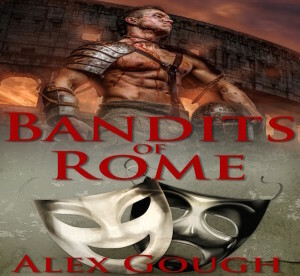 Bandits of Rome, and all his books are available on Amazon UK and on Amazon.com, depending on how you want to spend your money.